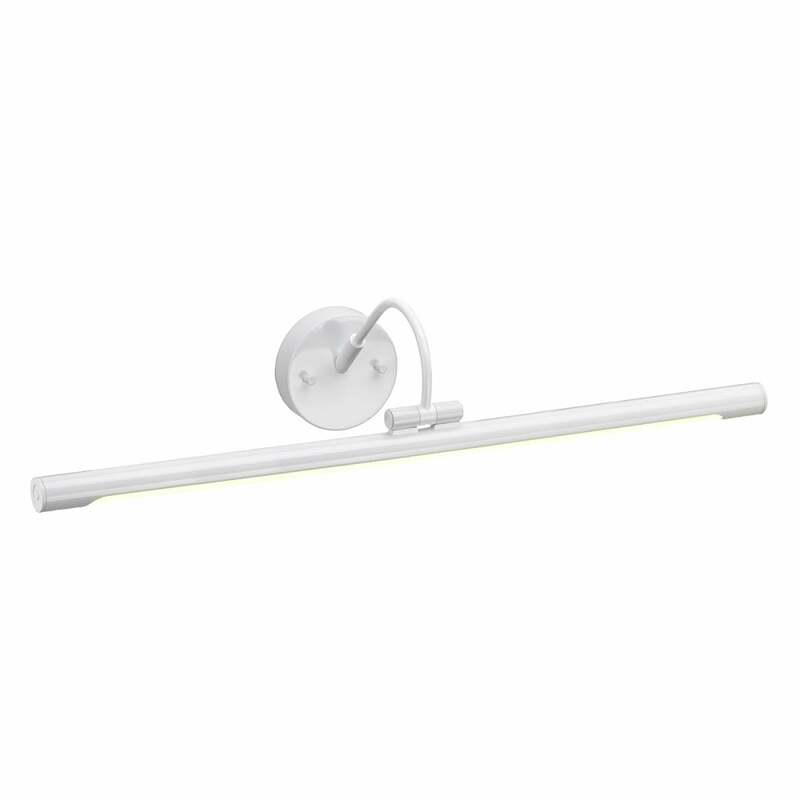 Elstead Lighting Alton large LED picture light features a wall plate and curving arm supporting a cylindrical shade in a white finish. The product code for this Elstead picture light is ALTON PL/L WHT. The transitional design will be ideal for a wide range of decors whether modern or traditional enhancing your paintings, etc with a bright output of energy efficient LED light. Also available in brushed nickel, black, polished chrome and brushed brass finish and a small size in all finishes which can be purchased via our website.